The Gordon Setter Breed Council represents 3 of the 4 Gordon Setter Breed Clubs in the UK: The Gordon Setter Association, The Gordon Setter Club of Scotland and the Gordon Setter Field Trial Society. 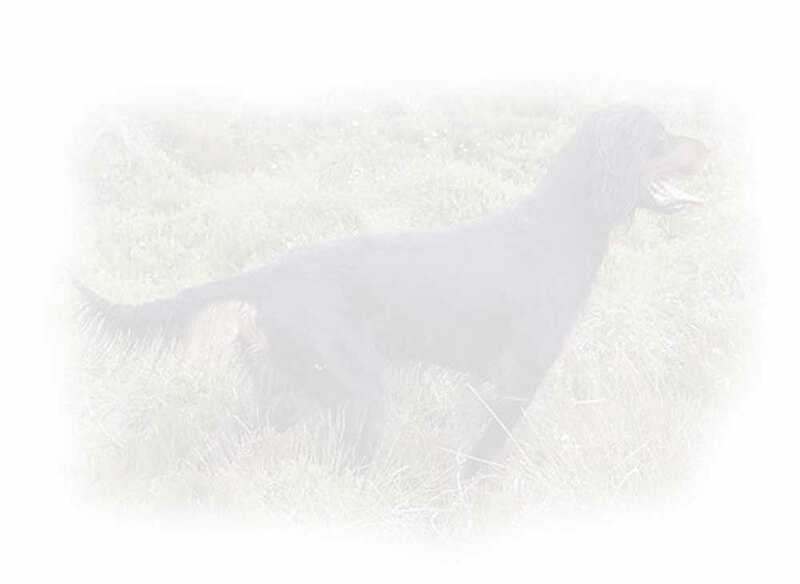 The Health Committee of the Gordon Setter Breed Council, has recently received a communication from a breeder regarding Gordon Setters being diagnosed with late onset PRA. The communication is supported by a health document supported by Dr Malcolm Willis and Dr Cathryn Mellersh of the Animal Health Trust. It is part of the Breed Council’s remit to look closely at any potential health issues affecting the breed and to take appropriate action. To this end the 3 member clubs are now working closely together to find out how widespread this is and to pass on accurate information. In conjunction with the GSA a seminar on PRA has been arranged where the Kennel Club geneticist Dr Jeff Sampson will be speaking along with other veterinary experts in the field. This will follow the GSA AGM on 19th April. We are in the process of trying to set up eye testing at our forthcoming Breed Shows. We also intend to send out a Health Survey to the members of our Breed Clubs to try and get some sense of the extent of the problem. One of the problems with late onset PRA is that to date it has been impossible to detect until the dog has actually started to lose his sight at around 8 years of age. Total blindness will occur around 9/10 years of age. Affected dogs may have been tested at an earlier age and gone clear. This means that these dogs could have been used in a breeding programme with the best of intentions but nonetheless have been spreading the disease. which will be able to identify the “carriers” and “clears” in young puppies so that sensible breeding plans can be worked out. For the moment we advise that all breeders have their dogs tested regularly. Anyone with older blind dogs should have an eye test done as soon as possible by an ophthalmologist and, if a dog is tested positive, a blood sample taken and sent to Optigen USA and the Animal Health Trust UK. There is no doubt that we face a difficult time ahead of us in getting to grips with this disease. But there can equally be no doubt that this must be faced head on and that nothing should be swept under the carpet. It will inevitably take some time to devise surveys and to get results from eye testing but we will proceed as quickly as we possibly can. The Gordon Setter Breed Council will do everything within its power to deal with this in an active and positive way and to that end we would welcome any well documented comments from anywhere in the world regarding PRA in British bred dogs. However this is not a time to be looking to lay blame at anyone’s door and we must be wary of jumping to unfounded conclusions. We must not assume that any old dog that is blind is suffering from PRA; there are many other causes. We will make more information available as soon as we have it. Gill Truman Secretary of the Gordon Setter Field Trial Society is collating information on any working bred Gordon Setters who tested positive with late onset PRA and only if the sire & dam are British bred (even if they have since been exported). Other clubs are collating the show dogs at present. Gill would like to hear from any owners with a Gordon Setter meeting the above requirements Tel:01388 537188. You can also email Gill through the Gordon Setter Field Trial dates page on this site.